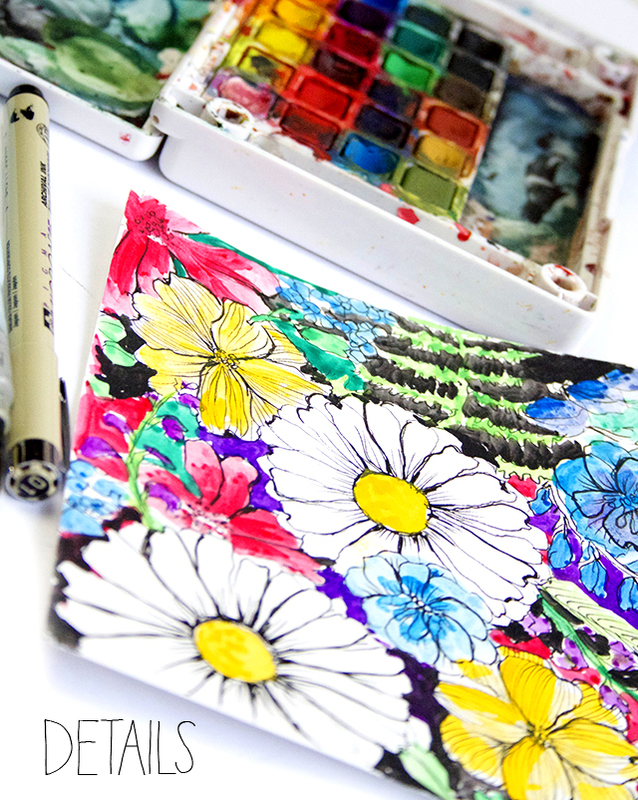 My latest online class Flower Power starts on Friday and while I can't give everything away, I thought it would be fun to give you a little peek inside one of the lessons today! 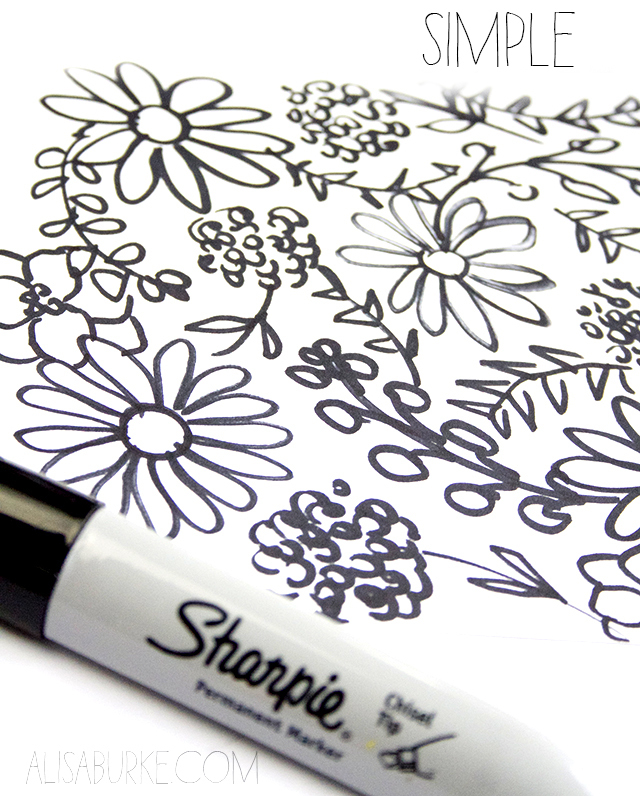 In my opinion there is no right or wrong way to draw a flower. In fact getting creative and using different techniques is a really fun way to push yourself creativity. Often times I will grab a bouquet of flowers and challenge myself to come up with different ways to capture the flowers. 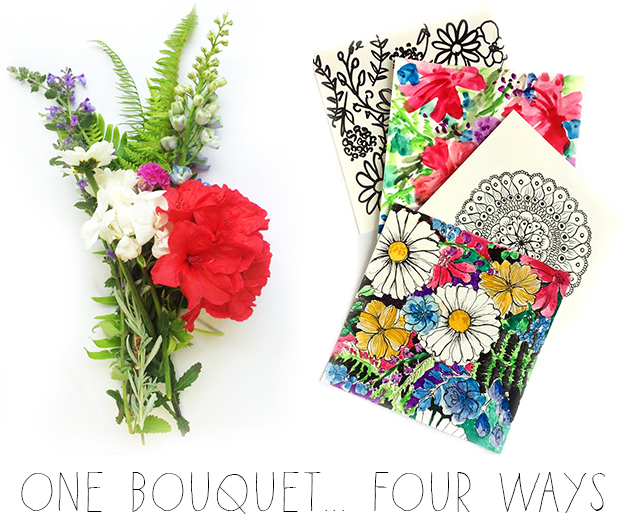 1 bouquet 4 ways from Alisa Burke on Vimeo. Simple line drawings are something that I use when I am sketching on the go or have limited time. I try to capture the essence of my inspiration in the simplest of ways, often using fast line drawings. I always challenge myself to fill the page, sometimes I add color while other times I leave it simple. 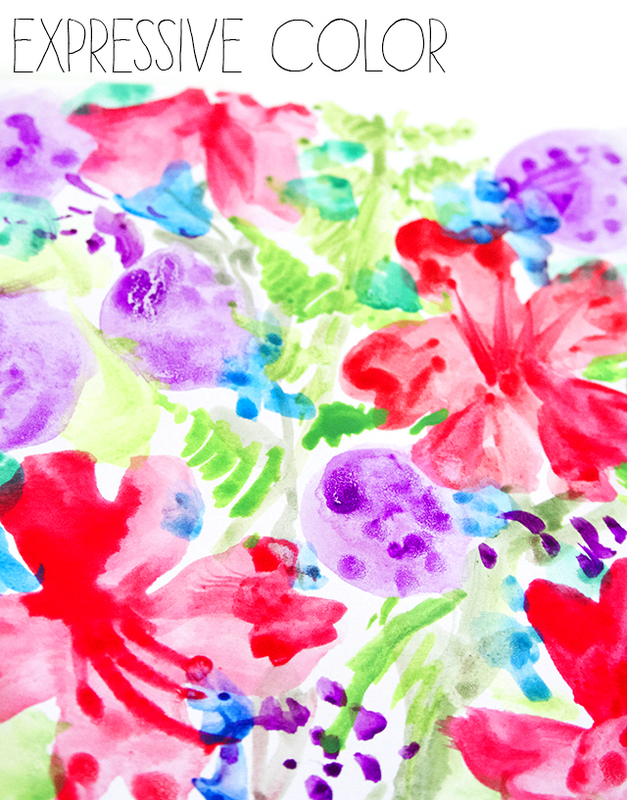 Using loose expressive color is one of my favorite ways to capture flowers on a page. This technique lends itself to using paint (either watercolor or acrylic) and is great way to let go of perfection and embrace expression. 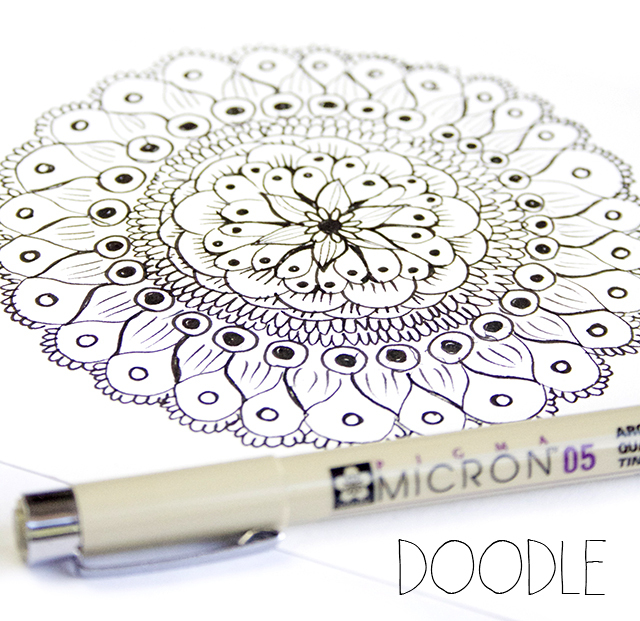 I love to incorporate inspiration that I find in flowers into my doodles. Instead of doodling in a literal way, I like to use the shapes of flower petals, the pattern on leaves and the details found in my bouquet to build a unique doodle that contains elements of flowers. When I have time to sit down and draw I enjoy capturing details. And while my style of sketching is more illustrative and whimsical, I still challenge myself to spend time capturing lines, pattern and details. Thank you for sharing these ideas, you are such a creative inspiration to me. cant wait for the class to see what else is in store. Yay!! beautiful! Thank you for the continued inspiration. I think I'm going to sign-up for this class. It's lovely to see your creative process and get ideas for several ways to capture similar images - thank you! I'm so glad I signed up for this class and can't wait for it to start. WOW WOW WOW!! I loved this so much! Each way just kept getting prettier!! So excited for the class to start tomorrow!! Thanks so much for sharing your talent and inspirations with us! Can't wait for the class! That is so cool how you can do that. I've been following you for years, I love your use of color & line. I finally bought some of the sakura watercolors (I'd been a Windsor&Newton girl) and HOLY AMAZEBALLS. I have found the paints for me! Thanks for being such an inspiration and so generous with your tips & techniques.